I made a recent trip to Mecca Cosmetica, hoping to purchase the new NARS Luminous Foundation. But what held me back are the mixed reviews online, so instead I went for the NARS Sheer Glow Foundation which is said to be one of the best foundations out in the market. I cannot believe it took me this long to finally try this foundation. It was the most talked foundation up to this day, and I had to say it is one of the best foundations I have ever tried. When you think of sheer glow, you will automatically think of a sheer coverage and luminous finish but in this foundation case it is on a whole another level. First, of let's talk about the packaging! It comes in a glass bottle and a cap but does not come with a pump, so you have to purchase the pump separately. The color selection is descent and you can definitely find your matching shade. The undertones however, comes off on the yellow side so you have dominant pink undertone, the shades may not work for you. Formula is somewhat creamy or fits in the middle (meaning not too watery, not too thick, not mouse like). I got the shade Syracuse which is a perfect match for me. I have a very imperfect skin and as you can see, it covered it with only one and a half layers of application. It does not feel heavy or thick on the face and it feels like second skin (literally speaking). I would say it gives a satin finish which I enjoy for winter. Tested this foundation by wearing it for 12 hours and it help up pretty well on my oily face. I found that I only had to blot once which is great considering it is a sheer glow foundation. The coverage can be built up from light to full coverage. I like to use the Real techniques buffer brush to apply the foundation, then pat it with a damp beauty blender to make it look like skin. 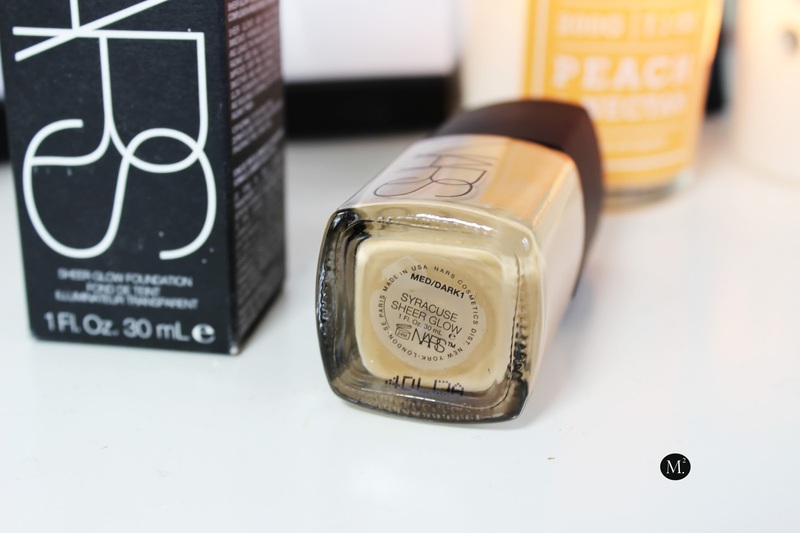 Overall, I really like this foundation and it has replaced my Estee Lauder Double Wear foundation which I still love! And that says a lot! It is definitely one of the great purchases I've bought and has become my go-to winter base. Have you tried the NARS Sheer Glow Foundation? If so what are your thoughts? 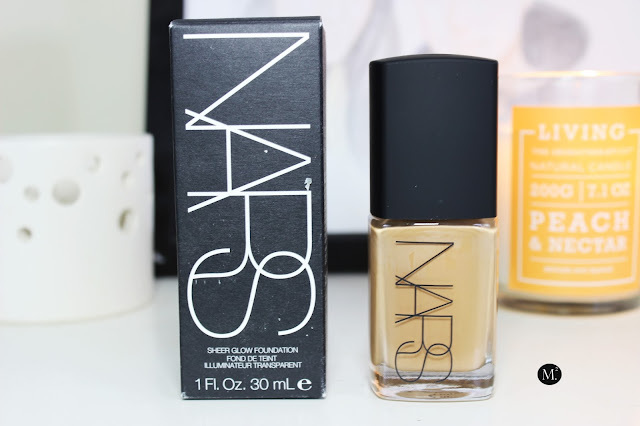 I am a huge fan of the Nars Sheer glow foundation, even though i only brought mine recently. 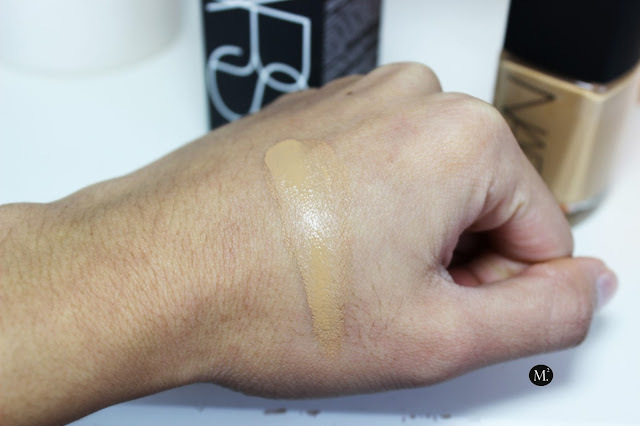 It provides build-able coverage, and it gives my skin a beautiful, healthy look! Great review too!